Kyle Lobstein is a cool left-handed starter who could temporarily switch to relief. 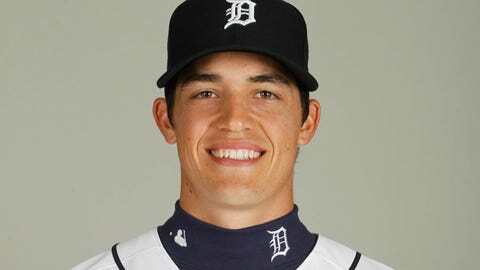 LAKELAND, Fla. — Might Kyle Lobstein become this year’s version of Drew Smyly? If Lobstein continues pitching as he did Saturday, when he tossed three no-hit innings against the Houston Astros, he could force his way onto the Detroit Tigers’ pitching staff. Like Smyly, Lobstein is a cool left-handed starter who could temporarily switch to relief. That option could be a bit of a reach, but it’s not out of the realm of possibilities. Strong pitching turns heads and earns roster spots. However, what is much more likely is that if the Tigers need to call up a starter during the season, Lobstein has a definite shot. "He’s in the mix there," Detroit manager Brad Ausmus said after a 5-1 win over Houston. 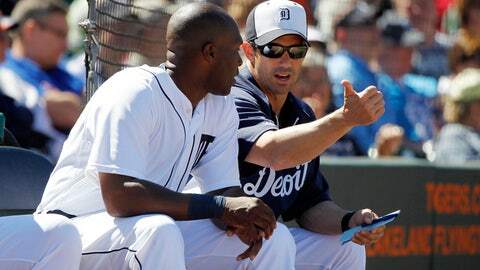 Tigers manager Brad Ausmus gives every player the green light to steal bases at their discretion in Grapefruit League games. Ausmus likes what he’s seen of Lobstein, 24. "He has good mound presence," Ausmus said. "He doesn’t look intimidated or nervous. He looked real good today. Lobstein threw well, had clean innings, and his command was real good." Lobstein, who successfully made the jump from Erie to Toledo last season, throws a fastball that tops out at 92 mph along with a curve, changeup and cutter. He struck out four and walked one in three very efficient innings. There’s a school of thought that says a team takes its 12 best pitchers into the regular season. But there’s also the development factor, and that could end up determining where Lobstein is pitching four weeks from now. "We’re definitely going to take development into consideration," Ausmus said. "And I definitely take spring training into account because it’s not like the regular season." Hitters still are behind the pitchers at this point. Even the starting lineups of opponents are dotted with minor league players, and the pressures are different when the games count in triple-deck stadiums. However, a pitcher must make a good impression in spring training to enter into conversations on in-season call-ups. And Lobstein is off to a good start in that regard. "I’m trying not to read too much into anything and just build off each start," said Lobstein. There’s not the kind of pressure he felt last year. The New York Mets took him in the Rule 5 draft out of the Tampa Bay Rays organization, and Detroit obtained him in a cash transaction. The Tigers had to keep him on the 25-man roster for the season or return him to the Rays. Detroit wasn’t in a position to do that, but liked Lobstein enough to obtain him in a trade with Tampa Bay, sending catching prospect Curt Casali to the Rays. Lobstein split the season between Double-A and Triple-A, compiling a 13-7 record, 3.27 ERA and 148 strikeouts in 167 2/3 innings. Tigers catcher Alex Avila says his biggest improvement over the last year is "consistency on his off-speed pitches." "He’s always located well," Avila said, "and he has four good pitches and can throw all of them for strikes. He makes my job fun back there." Having a pitcher who hits his spots and finds a pitch-call groove with you is something catchers enjoy. Pitchers also value finding that harmony. "Alex Avila calls a great game," Lobstein said. "Mixing up the pitches definitely helps. I had a good feel for all of my pitches." Tampa Bay drafted him in the second round in 2008 out of Flagstaff (Ariz.) Coconino High. The Rays have developed as good a reputation for spotting and developing pitchers as any team, and Lobstein credits them for providing him a sound foundation. "They especially helped me with my changeup," Lobstein said. "A lot of their pitchers have good changeups." He said the Rays also stressed the importance of getting ahead in counts with a constant supply of statistics documenting the importance of doing so. Lobstein said Tigers pitching coach Jeff Jones has had a big impact on him, and noted that Jones spotted his curve coming out at an arm speed different from his other pitches while warming up Saturday. They corrected that flaw before he took the mound. And he loved picking the brain of former Tigers star Kenny Rogers, who worked with pitchers at the beginning of training camp. Lobstein said Rogers improved his pick-off move. It’s all coming together for Lobstein — who appears to have a future with the Tigers. Whether that time comes sooner or later is going to be interesting.